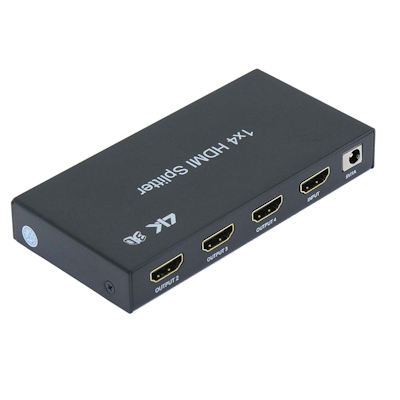 HDMI Splitter is a product which can distribute HDMI signal without loss to one or more high definition display device such as HDTV. It can optimize your home theatre system to the best effect. 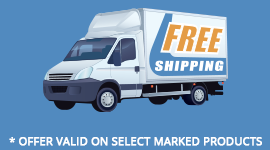 HDMI signal is distributed from source device such as DVD, Satellite Receiver, Set-Top Box, DV Camera, A/V Receiver and other HDMI enabled device to high definition display device such as HDTV and HDMI Flat panel Display. 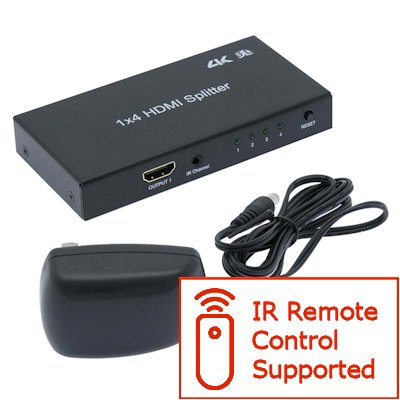 IR Remote Control Supported (Additional hardware required and NOT included. See links below).